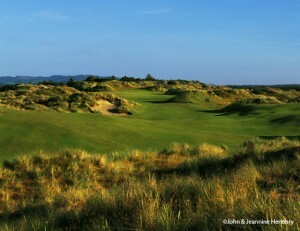 Just finished a photo shoot of The Bandon Preserve is another gem within the Bandon Dunes Resort group of fantastic courses. 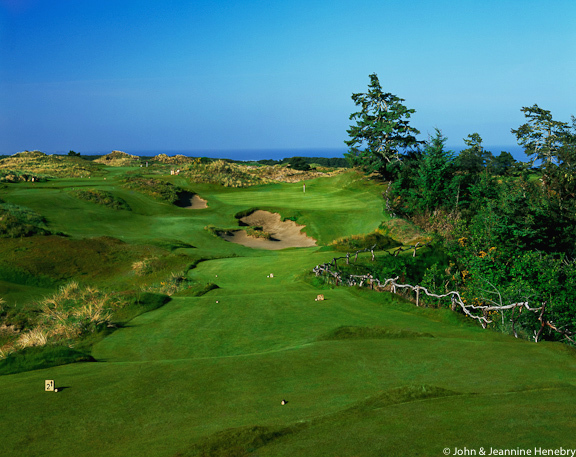 This Coore-Crenshaw course has ocean views that go on and on. Starting on high ground near Bandon Trails Course, it slopes down toward the water. The 13 hole course is fun but offers challenge for all. The shorter format is a great compliment to the other 18 hole courses and is an option to finish your day. A very interesting feature of The Bandon Preserve Golf Course is that all net proceeds will be donated to The Wild Rivers Coast Alliance. The Alliance supports projects that protect the rich lands and waters of The South Coast of Oregon. The Bandon Preserve also protects and preserves the Silvery Phacelia, an endangered plant species whose habitat is threatened by non-native plants. 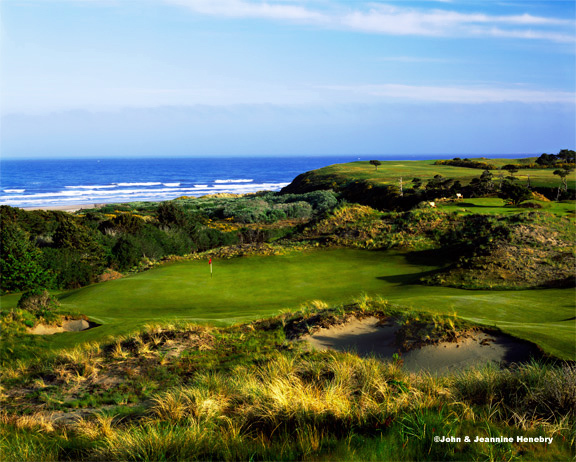 This is another example of Bandon Resort doing things right. Don’t miss it! 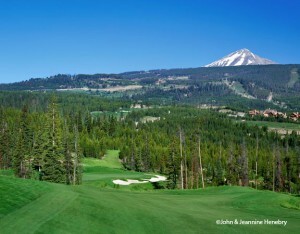 Premier golf photographers, John and Jeannine Henebry have been specializing in golf course photography for over 25 years. A brother-sister team, they have traveled the world photographing some of the world’s best and most beautiful golf courses designed by many of golf’s most notable course architects and designers. 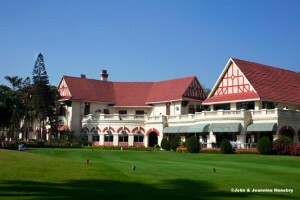 John and Jeannine’s work frequently appears in major golf magazines along with many other consumer and trade publications.